What would it be like to free yourself from limitations and soar beyond your boundaries? What can you do each day to discover inner peace and serenity? 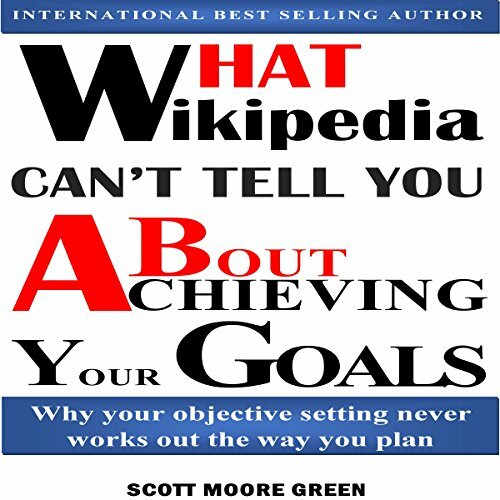 What Wikipedia Can't Tell You About Achieving Your Goals offers simple yet profound answers to these questions. Throughout your life, you've had parents, coaches, teachers, friends, and mentors who have pushed you to be better than your excuses and bigger than your fears. What if the secret to having the confidence and courage to enrich your life and work is simply knowing how to push yourself to setting achievable goals? You'll discover what you can do to put an end to the habitual thoughts and emotions that limit your consciousness and fulfilment. By tapping into science of habits, riveting stories, and surprising facts from some of the most famous moments in history, art, business, traditions of meditation, and mindfulness, author, spiritual and leadership teacher Scott Moore Green shows how the development of consciousness, managing stress, managing time, can enable us all to dwell in the present moment and let go of painful thoughts and memories that keep us from achieving set goals, happiness, and self-realization.